Mingtai Al. 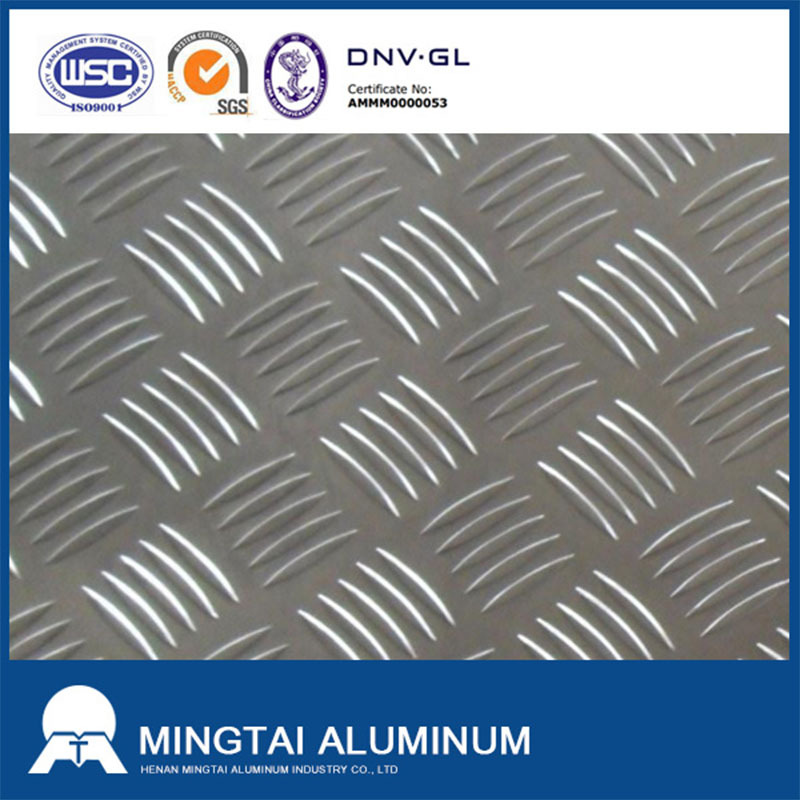 is both a 5754 H114 5bars aluminum tread plate manufacturer and supplier with 20 years experience. So factory price is available. Besides, we use the finest raw material to improve the product quality. Mingtai Al. can manufacture 5754 H114 5bars aluminum tread plate with many alloy and tempers, and it can be cut to size at customers` need. 5754 H114 five bars aluminum tread plate with good corrosion resistance, hardness, anti-rust performance. Usually used in special places, such as ships, cars lights, humid environment, the high hardness of aluminum, a certain load-bearing capacity. Quenching to achieve on-line quenching, greatly reducing the production cycle, reduce energy consumption and stability of product performance. At the same time, the treatment of the plate surface beautiful, good corrosion resistance. Italy SELEMA stretch straightening machine, the unique strip entrance system uses the strip through the tank to ensure a good plate type, no scratches, vibration marks and surface defects. 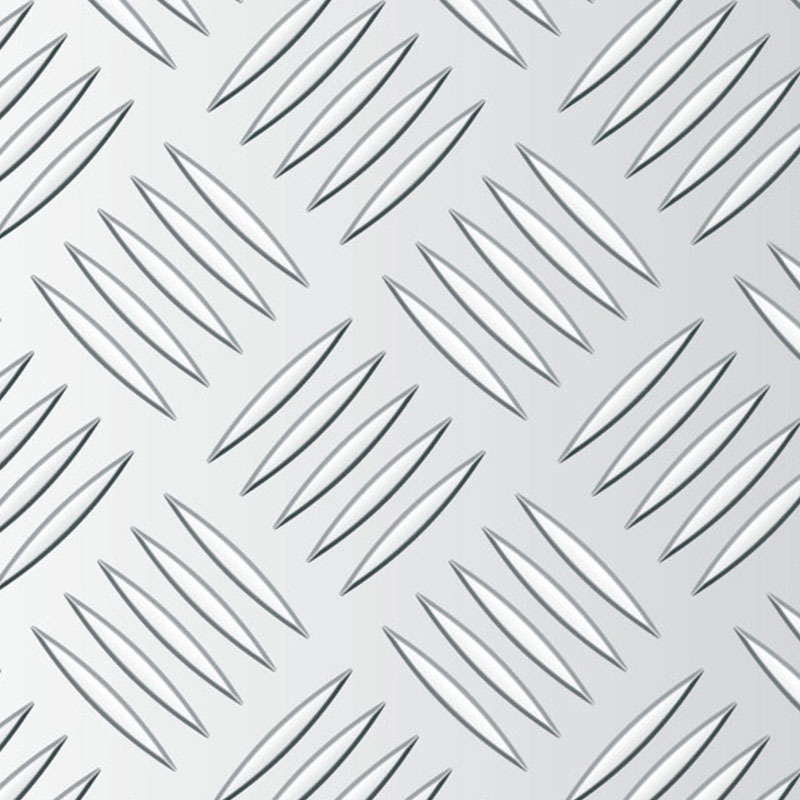 Looking for ideal Five Bars Aluminum Tread Plate Manufacturer & supplier ? We have a wide selection at great prices to help you get creative. 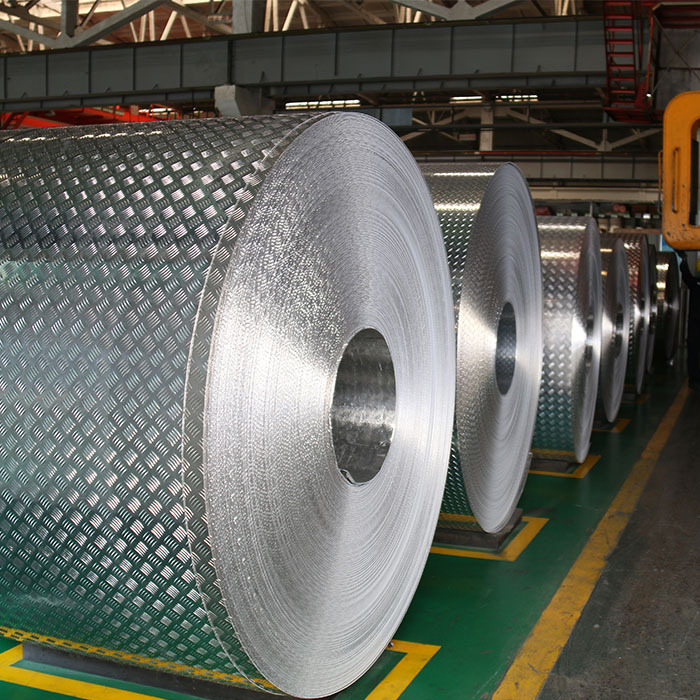 All the Five Bars Aluminum Tread Plate Price are quality guaranteed. We are China Origin Factory of 5754 Five Bars Aluminum Tread Plate. If you have any question, please feel free to contact us.